The term “hand-crafted tea” is being applied to a lot of teas these days. However, there doesn’t seem to be an official consensus on when a tea is “hand-crafted.” For example, even for teas considered to be processed by hand in all other respects, most rolling is done by machine (although there are exceptions). It would seem, therefore, that this label means most (or ideally all) of the processing should be done by hand. The terms “artisanal” and “traditional” are used by some for teas that are mostly or entirely hand-processed. “Orthodox” can mean teas that were hand-processed or were machine-processed to seem like hand-processed teas. A hand-crafted tea is certainly not one that is processed by the ton in a tea factory that uses big machines. Nothing wrong with this style of processing. It generates some wonderful teas, mostly the kind that ends up in popular brands of teabags, but labeling or referring to them as “hand-crafted” can be misleading and/or confusing. Full – all steps in the processing are done by hand, usually in small batches (less common these days). Partial – most steps in the processing are done by hand, usually in small batches. A key also is working in small batches. 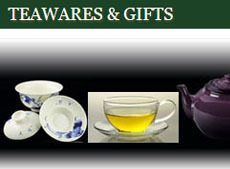 If a vendor promotes a tea as “hand-crafted,” it should be something that is more rare. Otherwise, you will want to question their use of that term. Processing the leaves by hand in small batches gives better control over the various steps. For example, hand-crafted Nonpareil Tai Ping Hou Kui involves hand pressing the leaves during roasting to maintain the complete leaf shape and a more natural appearance, as well as a richer, smoother, and more vivid flavor. Hand-plucking the right leaves and processing them the best can really create a superior tea. The cultivar can also make a difference. First, I want to put on record a statement: many teas processed by machine taste great and are enjoyed by millions of people. The companies that produce these teas usually have people working the machines with many years of experience, knowing how long to roast the leaves, for example, to achieve the right level of drying and avoid burning. Basically, the issue is big machines tended by skilled staff versus more individual attention by tea masters who have been trained to make the most of those tea leaves and produce a variety of end products with a wide range of tastes. Either way, you have to start with great tea leaves to end up with a good tasting tea. Removes foreign matter and sorts by size, shape, specific gravity, and surface characteristics of pieces. Helps get better prices at auction. Stories of insects and other foreign matter in teas tend to be urban myth or the result of a bad batch getting into the hands of an inexperienced tea reviewer. This steps removes enough of the moisture from the tea leaves so that they are limp and can be rolled and shaped. This step releases chemicals stored in the leaf cells and begins the oxidation process. The air reacts with the chemicals released during rolling and turns the leaves from green to reddish-brown and then black. If the leaves are oxidized too long, the tea will be strong and lose its subtlety. If too short, the complex flavors will not fully develop. Generally speaking, this step is skipped for green tea, done partially for oolong, and pursued all the way for black tea. The withered and rolled tea leaves start to take in oxygen, which reacts with their chemistry to turn them dark. This is done neither by hand nor machine, but by the tea leaves and the oxygen in the air. The tea leaves are laid out in troughs or on bamboo trays, etc., and watched, usually over a period of 2-4 hours, in an area where humidity and temperature can be fairly well controlled. 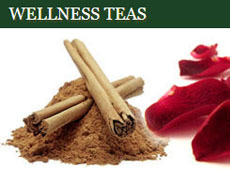 Stops the oxidizing and removes more moisture from the tea leaves. Also called pan firing, pan frying, or steaming, depending on the method used. Involves either exposing tea leaves to certain substances such as flower petals so that they absorb the aromas/flavors or adding substances to them in a “blend”. These substances are usually bits of dried fruit, various spices, flavorings such as vanilla bean and chocolate, flower petals, and other plant matter such as chamomile and Rooibos. Applying the flavoring by hand or machine is depends on the flavoring used. One big advantage to hand-processing is the connection of the person doing the processing to the tea leaf. Changes in texture and aroma can be detected and determine when the processing is changed or considered complete. 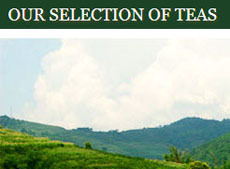 A select number of high-quality Darjeeling teas are processed by hand to preserve their unique flavor characteristics so important to their success in the tea market. Unfortunately, this also makes them a bit pricier. A classic example of machine versus hand processing is CTC Assam versus Orthodox Assam. Generally, the former is considered lower grade and therefore appropriate as a base for masala chai while the latter is considered higher grade, to be savored in the cup. Bagged teas are definitely machine processed. The leaves are broken down into very small pieces called fannings and dust. They steep up fast and strong. Hand-processed black teas generally have larger pieces, steep up more slowly, release fewer tannins into the liquid, and give a more delicate tasting liquor. Grading teas differs from one tea-producing country to another. These guidelines generally apply in India but can also be seen on other teas from other countries such as Sri Lanka and Kenya. “CTC” and “leggcut” are terms used for machine-processed teas. Broadly speaking, there are four grades of tea: whole leaf, broken leaf, fannings, and dust, with each having sub-grades. The latter three main grades can be produced via CTC and leggcut manufacture. CTC tends to be less expensive and lesser quality than Orthodox tea and often are blends of tea leaves harvested from more than one plantation during the first “flush” (harvest). This makes their flavor fairly consistent from one batch to another, making it important to start with good quality tea leaves, since that level of quality will determine the quality of the finished tea. 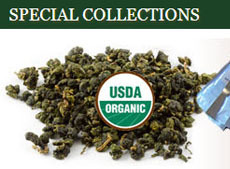 Generally, a CTC tea steeps stronger with more chance of being bitter, while Orthodox teas are higher quality, less likely to be bitter, and contain more subtle and multi-layered flavors. Orthodox on the left and CTC on the right. Photo by ACC used with permission. There are some wonderful teas out there that really do deserve to be called “hand-crafted.” And there are some great teas that are machine-processed. Which you choose will depend on the tea flavor you want (and your budget). Either way, we wish you much tea enjoyment! This entry was posted in Exploring Various Teas, Tea Grading, Tea Info for Newbies and Up, tea processing and tagged hand-processed tea, machine-processed tea, tea, tea processing. Bookmark the permalink.